Happy Easter (have you asked for your hug today)? He is risen indeed. Allelulia! Easter Sunday is the day when we say these happy words. Christ the Lord has risen today. On this day we celebrate Jesus’ victory over death, and we also celebrate because we have been given “new birth into a living hope through the resurrection” (1 Peter 1:3). However, for me, and, I suspect, for many of you, after the service is over, the family meals concluded, and (at least some of) the chocolate is eaten, the joy starts to fade. 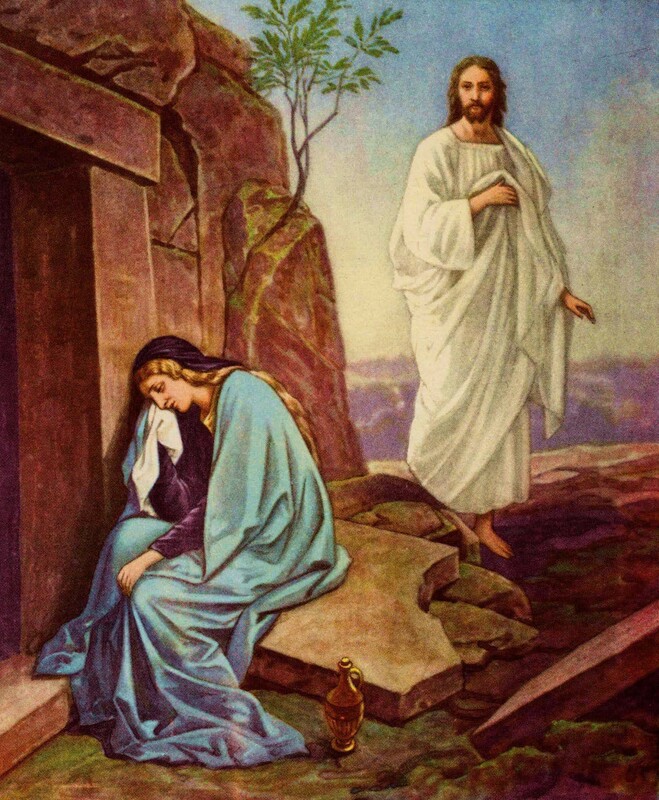 One reason the joy fades for me is because I think of those with whom I can no longer share the joy of Easter. My grandparents. My parents. My sister. I’ve also lost aunts, uncles and friends. Three beloved pets who have died just within the past year, and many more over my life. Christ’s death and resurrection hasn’t spared me from grief, from sadness, from hardship. Nor have I been spared from the other agonies that come with life: broken hearts, stress from school and work, heated arguments and disagreements with friends and family, loneliness, despair, depression – the list goes on. In my despair, I ask, why must I suffer? Why hasn’t Christ’s death and resurrection saved me from this pain? And, if I must wait for Him to come again for my pain to end, why does He keep us waiting (almost 2000 years and counting), knowing that we are suffering? Then I remember that Jesus died for us so that we need not be separated from God – the fate we deserve because of our sin. He rose again so that we can have living hope. He came into this world and suffered for us so that we could all have a personal relationship with Him. The Bible promises, “The Sovereign LORD will wipe away the tears from all faces” (Isaiah 25:8; see also Revelation 21:4). When I think back to my moments of greatest grief and suffering, I also remember how I was comforted during those times. My family and I were given all that we needed to get through these trials. There were plenty of tears, but also many ways by which those tears were wiped away. With the benefit of hindsight, I can see that God called friends to us or otherwise caused things to happen to ease our pain and comfort us in our need. It was as if there was someone right there, holding me tightly and providing Kleenex (or chocolate) as needed. When I am suffering the most, hugs from loved ones go a long way towards helping me feel better. And, while me may not yet be able to see and touch Jesus, He is always there to give us hugs anytime we open ourselves up to His love. And, to me, that is what we are celebrating. Someone loves us so much that He died just so that He could hug us whenever we wanted. So, in this season of Easter, why don’t you join me in remembering to ask God for a hug today?